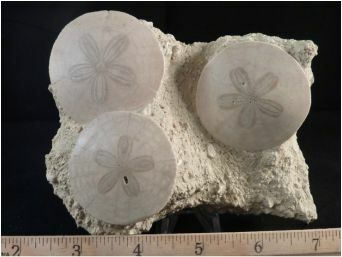 These stunning fossil sand dollars Scutella paulensis come from Faluns de Touraine, France and are some of the most beautiful and rare in the world. These fossils are from the Miocene period and are nearly 19 million years old. These rarely come up on the public market and are the perfect piece for every home or office. Gondwanaland Trading Company sells the most unusual fossils on the internet.